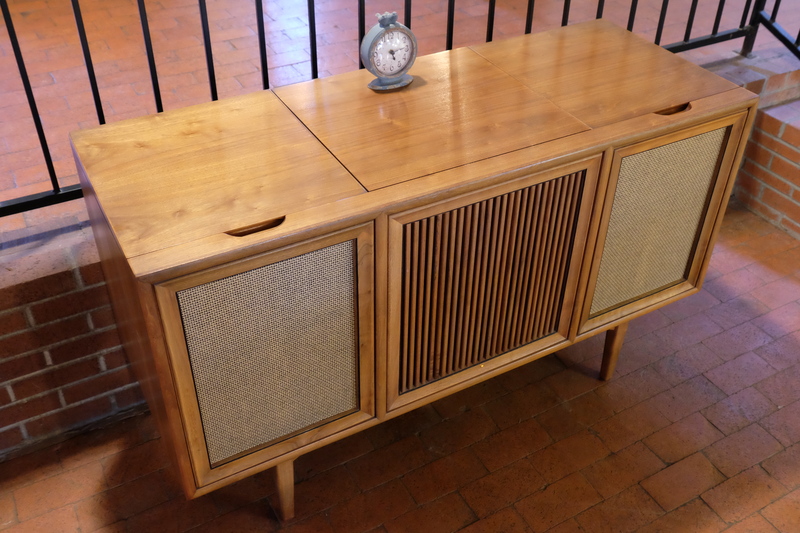 A few months ago, Becky had the brilliant idea of getting an old tube-amp console record player. I protested, arguing that we don’t have any vinyl and probably wouldn’t use it, since we have Sonos speakers all over our house, but she doth persist, and she was so right. Not only did it look awesome, but it sounds amazing, and it has an RCA input for a tape player. Perfect! 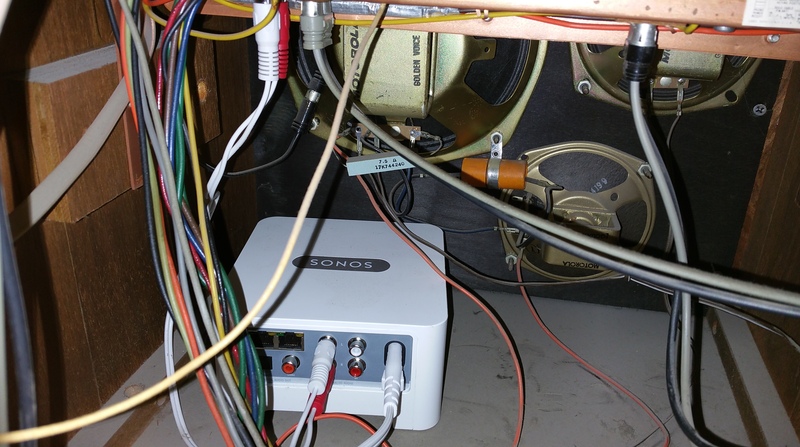 So I just traced the RCA cord from the back of the unit to where it connects inside (why connect a wire to the back when you can hide it all), unplugged it and plugged in my own RCA cable, and placed a Sonos Connect inside the cabinet, ran the power cord alongside the system power, and Bob’s your uncle! It sounds beautiful, it plays in sync with our other Sonos speakers (we’re up to 8 now), and adds a soul to our living room, especially when we’re streaming Bluesville on SiriusXM to it.